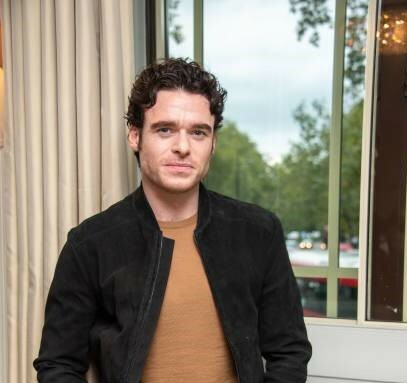 Richard Madden is one of the latest handsome heroes to grace our television screens, playing THE Bodyguard, David Budd in The Bodyguard. 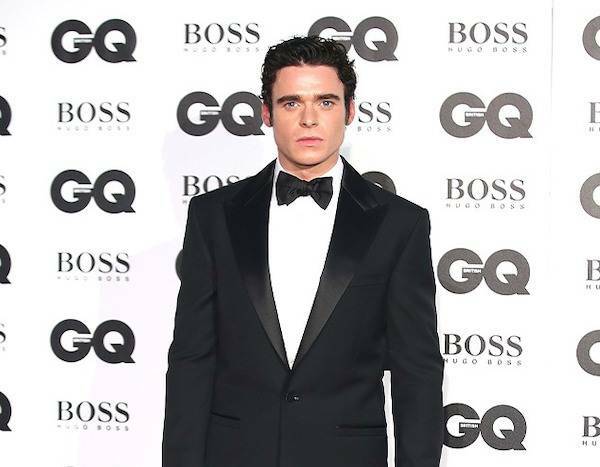 With previous roles in Game of Thrones and Disney’s Cinderella as the charming – well, Prince Charming, there is no question that Madden is capable of filling the 007 shoes of previous Bonds before him (as alleged)… But would his personal ‘Richard Madden style’ suit the role? Suede, black and brown tend to be three key elements Richard returns to time and time again for his classic cool comfort look. The press conference for The Bodyguard was no exception to these style specifics, with Madden pairing black jeans with a camel tee and black suede bomber combo. For a suede jacket with an on-trend winter twist, we recommend the Dunhill Ribbed Marino Wool and Suede Bomber Jacket available on MR PORTER. The Creative Director of Dunhill believes that his consumers are multi-faceted, so much of his work nods to tradition and heritage, whilst including contemporary details. As the product name suggests, this jacket combines the classic silhouette of a bomber with the warmth and comfort of a jumper. This is a brilliant investment for the winter months when you wish to look timelessly stylish but still be cosy. In addition, the bomber’s regular fit ensures its ability to be layered over even thick knitwear, thus keeping you warm throughout the predicted freezing few months ahead. The GQ awards saw a smoldering Madden suited and booted in head to toe Versace. The tuxedo included my favourite type of lapel; silk, and a bow-tie to match. Now men, I have to say when it comes to weddings and black tie events, you can have it pretty easy in comparison to women, so long as you’ve mastered the fit of your suit. Although it is likely that with celebrity stylists and brand’s PR, actors such as Richard Madden will rarely be photographed in the same look twice, you do not NEED to buy a new outfit for each occasion. It is more than acceptable to opt to just change things up through simply alternating neckties or shirts. By all means, if you’re a gentleman that loves a suit then shop away, but if you are faced with the option of multiple suits from a lower price bracket, or one of high quality, I would definitely recommend investing in one terrifically tailored suit specifically for your shape! 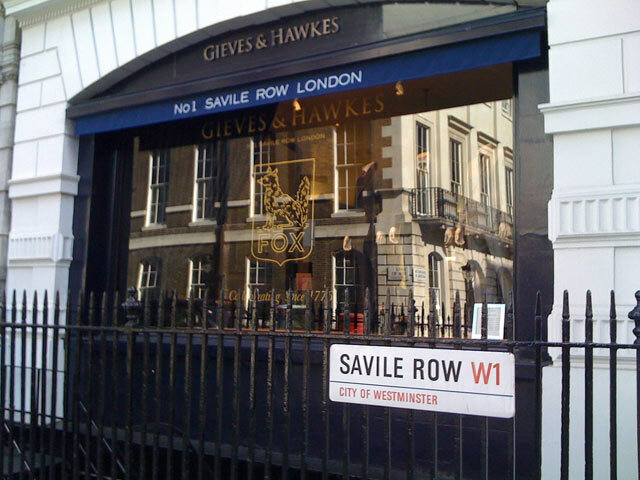 Many traditional tailors still exist, and with recent trends that appreciate heritage and craftsmanship, more British based contemporary tailors with Saville Row skills and a traditional twist have surfaced. If you are looking for a sophisticated evening jacket with a true tuxedo cut, but are after something slightly different from the norm, Gieves and Hawkes may have just the thing. The brand’s midnight blue ribbed wool evening jacket with faced lapels has an understated luxury element: it’s ribbed wool cloth and silk faced lapels adds a subtly sophisticated texture. The lapels are woven in a fine jacquard that depicts bubbles floating from the ocean’s depths. Furthermore, the jacket is tailored to last with a single button fastening and jetted pockets. Can we see Madden in this at a high-profile event? Most Definitely! Now I cannot write this article without covering Richard Madden’s albeit casual, but desirable look during his interview with IMDB this bonfire night. To me this is a classic Madden look; consisting of his staple black jeans and suede boots. His jumper: dark blue with a boat neckline and fitted sleeves and long tan cuffs perfectly compliments his boots and brings the whole outfit together. 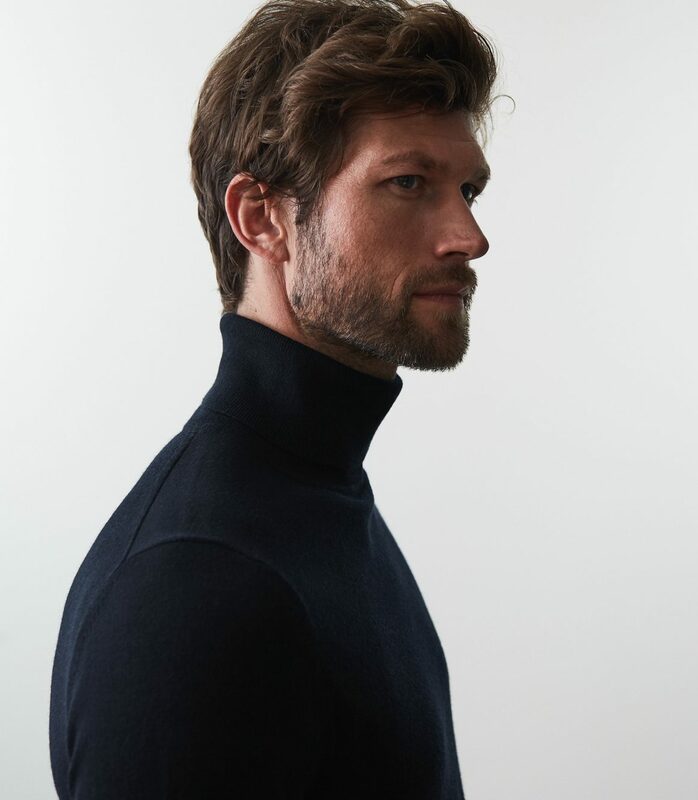 To achieve a similar layered look over the colder period layering a tan long sleeved t-shirt with a navy thin turtleneck jumper and sliding the outer layer’s sleeves up slightly. REISS have made a fantastic roll neck jumper available in multiple standard colourways: The Caine. Engineered using merino wool yarn, this garment is lightweight and sumptuously soft. With jeans getting increasingly tighter, I feel the need to encourage you to only buy a fit you feel comfortable in: some people prefer boot cut, others skinny, and that’s ok, whatever suits your body shape and your style is always the best choice. But if I had to recommend trousers, Levis 511 Slim Fit Bi-Stretch Jeans are guaranteed to be great. As for Chelsea boots, Madden’s worn suede look is something that takes time, but allows us to not obsess about the smallest scuffs and appreciate the memories in our favourite garments. GANT’s roasted walnut max suede Chelsea boots are fantastic staple selects. The natural leather lining and insock stresses the quality of the pair of boots, whilst the elastic side panel allows for comfort and years of wear. 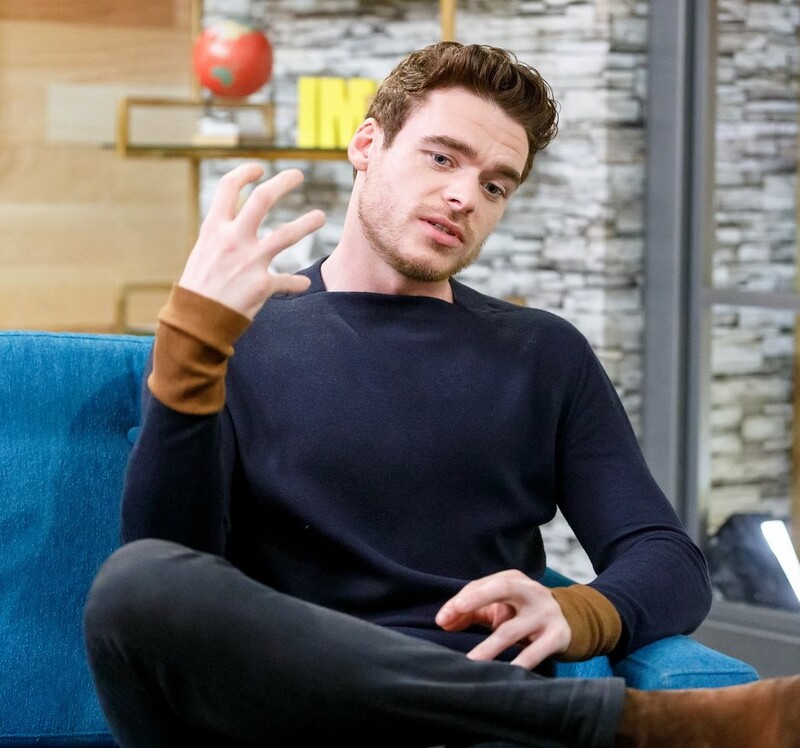 So Richard Madden can dress like Bond on occasion, specifically high profile occasions, but he also has a classic casual style of brilliantly crafted basics. Bond may always be remarkably turned out, but it may be time he got more real and relevant to most in the modern day world and Madden is made for that! If you enjoyed our Richard Madden style feature, check out more of our style icon profiles here.